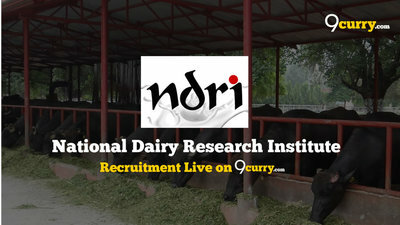 NDRI Recruitment 2019: National Dairy Research Institute (NDRI) / www.ndri.res.in is conducting recruitment processes to fill 18 vacancies. As of now, there is one recruitment drive going on for Walk in for 18 RA, JRF & Other Posts. NDRI Recruitment 2019 - Walk in for 18 RA, SRF, JRF, Project Assistant & Other Posts in NDRI, Karnal, Haryana on Temporary on Co-terminus Basis. Candidates are invited by National Dairy Research Institute (NDRI) to attend walk-in-interview to be held on 29 May 2019 10:30 AM for 18 vacancies. NDRI Recruitment 2019 - Walk in for 39 SRF, YP I, JRF & Other Posts in NDRI, Karnal, Haryana on Contract Basis. Candidates are invited by National Dairy Research Institute (NDRI) to attend walk-in-interview to be held on 15 ,18 ,20 ,21, 22, 25 ,27 Feb & 2, 6, 8, 14, 16, 19, 23, 25 March & 4, 8 April 2019 at 10:30 AM for 39 vacancies. NDRI Recruitment 2019 - Job notification for Project Assistant Post on a project entitled “Model Order Reduction for Simulation Acceleration in Power Electronics” in Department of Electrical Engineering, NDRI, Srinagar, Jammu & Kashmir on Temporary Basis. Applications are invited by National Dairy Research Institute (NDRI) on or before 22 Apr 2019 for 1 vacancy. NDRI Recruitment 2019 - Walk in for SRF & Skilled Worker Posts on a project entitled “Cow Dung Processing and Its Conversion to Biofortified Fertilizer: A Pilot Study” in NDRI, Bengaluru, Karnataka on Contract Basis. Candidates are invited by National Dairy Research Institute (NDRI) to attend walk-in-interview to be held on 12 Apr 2019 at 10:00 AM for 2 vacancies. NDRI Recruitment 2018 - Walk in for JRF & Project Assistant Posts on a project entitled “Amelioration of infertility in dairy cows through nutritional and biotechnological interventions” in NDRI, West Bengal on Temporary Basis. Candidates are invited by National Dairy Research Institute (NDRI) to attend walk-in-interview to be held on 12 Nov 2018 at 10:00 AM for 2 vacancies. NDRI Recruitment 2018 - Walk in for Young Professional II Post on a project entitled “Dairy Extension Delivery System in Karnataka State: A Stakeholder Analysis” in NDRI, Bengaluru, Karnataka on Temporary Basis. Candidates are invited by National Dairy Research Institute (NDRI) to attend walk-in-interview to be held on 19 Nov 2018 10:30 AM for 1 vacancy. 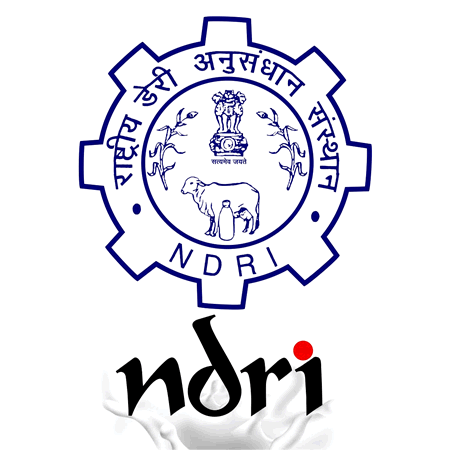 NDRI Recruitment 2018 - Walk in for SRF Post on a project entitled “ProteoGenomic approach to Elucidate Productive and Reproductive performance of Malnad Gidda, Deoni and Hallikar Breeds of Cattle” in NDRI, Bengaluru, Karnataka on Contract Basis. Candidates are invited by National Dairy Research Institute (NDRI) to attend walk-in-interview to be held on 27 Oct 2018 at 09:30 AM for 1 vacancy. NDRI Recruitment 2018 - Walk in for 27 RA, JRF, YP II & Other Posts in NDRI, Karnal, Haryana on Contract Basis. Candidates are invited by National Dairy Research Institute (NDRI) to attend walk-in-interview to be held on 26, 29, 30, 31 Nov & 01 Dec 2018 at 10:30 AM for 27 vacancies. NDRI Recruitment 2018 - Walk in for SRF & Skilled Workers Posts on a project entitled “Cow Dung Processing and Its Conversion to Bio-fortified Fertilizer: A Pilot Study” in NDRI, Karnataka on Contract Basis. Candidates are invited by National Dairy Research Institute (NDRI) to attend walk-in-interview to be held on 27 Oct 2018 for 3 vacancies. NDRI Recruitment 2018 - Walk in for SRF Post on a project entitled “CRISPR/SPR/CAS9 guided functional analysis of genes regulation early embryonic in buffalo” in NDRI on Contract Basis. Candidates are invited by National Dairy Research Institute (NDRI) to attend walk-in-interview to be held on 10 Oct 2018 for 1 vacancy.